(November 30th 2013) - Bringing new levels of contemporary chic to the capital city of Sumatra's Jambi province, Archipelago International have joined together with PT. 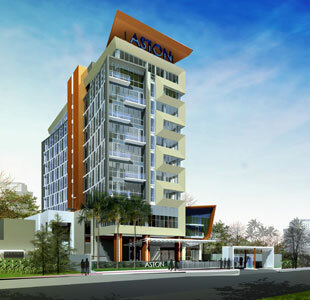 Sabang Raya Hotel to open Aston Jambi Hotel & Conference Center. Due to soft open in early December, the property will be a modern and stylish 4-star business and conference hotel designed by the Jakarta-based company, PT. Bias Tekno Art Kreasindo and owned by PT. Sabang Raya Hotel. The contemporary hotel will feature 153 guest rooms and suites, complemented by dining and entertainment venues including a restaurant, bar & music lounge, a terrace café and a stylish sky lounge. Leisure guests can also enjoy the hotel swimming pool and fitness center, while business travelers can make use of the 6 meeting rooms and grand ballroom that accommodates up to 600 persons. As the capital of the Jambi Province, Jambi City is known today as a significant river port as well as one of Indonesia’s prominent palm oil and rubber producing centers. Situated just 20 minutes from the airport, the hotel is primely located only 5 minutes to the city centre, government offices and banking areas. 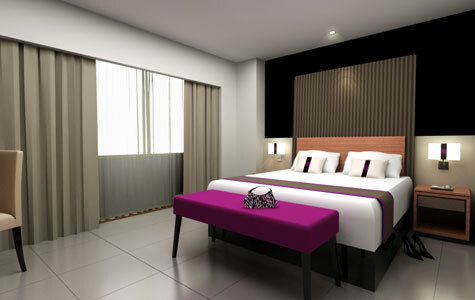 It is also halfway between the city’s main shopping mall, WTC and Jambi Town Square.